Discussion in 'News, Events & Announcements' started by BASED Bot, Feb 18, 2018. Hello and today we'd like to present 2018's first map update: Iron Ridge. This long standing map first introduced in v0.9 was reimagined by [R-CON]Spyker2041. The new Iron Ridge features a new sky setting, different mix of trees in forests and reimagined points of interest but otherwise stays true to the original layout of the map. 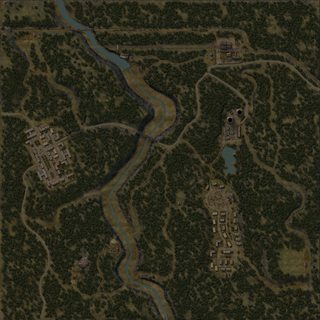 New Iron Ridge missed the v1.5 deadline but will otherwise be the 5th Polish map in Project Reality with Polish forces standing against Russian and Militia forces on AAS, Skirmish, CnC and Insurgency gamemodes. Forum now features Imgur album BBcode! Pump station with nothing to pump broke the immersion.